Teen pregnancy and childbearing bring substantial social and economic costs through immediate and long-term impacts on teen parents and their children. In 2010, teen pregnancy and childbirth accounted for at least $9.4 billion in costs to U.S. taxpayers for increased health care and foster care, increased incarceration rates among children of teen parents, and lost tax revenue because of lower educational attainment and income among teen mothers. Pregnancy and birth are significant contributors to high school dropout rates among girls. Only about 50% of teen mothers receive a high school diploma by 22 years of age, whereas approximately 90% of women who do not give birth during adolescence graduate from high school. The children of teenage mothers are more likely to have lower school achievement and to drop out of high school, have more health problems, be incarcerated at some time during adolescence, give birth as a teenager, and face unemployment as a young adult. These effects continue for the teen mother and her child even after adjusting for those factors that increased the teenager’s risk for pregnancy, such as growing up in poverty, having parents with low levels of education, growing up in a single-parent family, and having poor performance in school. Teen males don’t get pregnant. 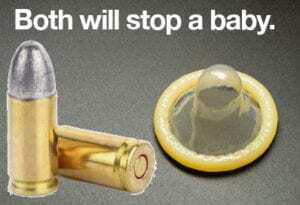 So we don’t teach them contraception in school. But- all kids can get shot, because we have insane gun laws in this country. School shootings remain extremely rare, representing a tiny fraction of the gun violence epidemic that, on average, leaves a child bleeding or dead every hour in the United States. While few of those incidents happen on campuses, the ones that do have spread fear across the country, changing the culture of education and how kids grow up…. 130 kids die from school shootings, we invest millions to “train” law enforcement and kids on what to do when confronted with an extremely rare event- yet, birth control, where teen aged boys aren’t shooting blanks- and having real implications to society- we stand by and do nothing. Northmont City Schools students will participate in a full-scale safety drill that will include officers shooting blank rounds. The event will be conducted at the middle school Wednesday and will Include multiple safety agencies and health departments. The schools and the city of Clayton Public Safety Department will partner with emergency response teams from Englewood, Union, the Ohio State Highway Patrol and Premier Health to conduct the drill. New Ohio requirements mean schools must conduct a full-scale exercise every three years in every building, according to Jenny Wood, information officer for Northmont City Schools. The middle school will be the first in the district to conduct the drill, which will focus on staff and student training. There will be several emergency vehicles at the school to support the event. Students will be on a two hour delay Wednesday. The school day will start at 9:45 a.m., and the drill will last the duration of the day. The students will be given detailed information at the start of the school day and will remain under Northmont staff supervision throughout the experience, according to a release. Students and staff will participate in various activities. Basic first aid, provided by Premier Health medical specialists, will be taught to students during the drill. Law enforcement officers in attendance will shoot off blank rounds so students can hear the sound of gunfire. The blank rounds will help give avenues for the students to discuss their experience of the drill with staff and faw enforcement. “Northmont is very sensitive to the fact we are trying to provide important and mandated safety training while balancing the needs of our staff and students with these experiences,” said Leslie Hobbs, student services director. Students and staff will discuss what happened in small group discussions at the end of the drill. Counselors and school resource officers will be there to answer questions from students and staff. But have a kid ask about birth control, or an abortion, and nothing. Sorry folks, look at the numbers. 229,715 babies were born to women aged 15–19 years in a year! And that’s not counting girls younger than 15. I was laughed at in college when I talked about a 22 year old grandmother in my neighborhood. It was true. Yet less than 400 kids have been shot (shot, not just died) in the 9 years since Columbine. I call this misplaced priorities. What do you call it?